A Rare Find One in two million lobsters can have a mutation that allows them to have a blue outer shell. 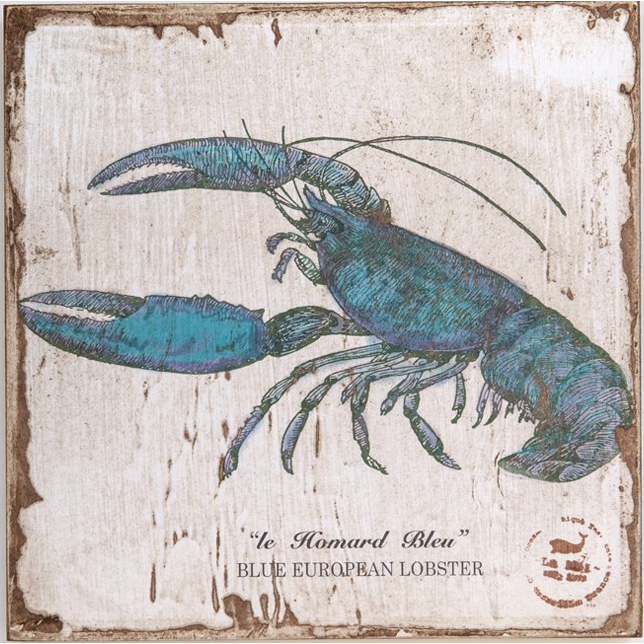 The blue lobster is not different from the regular lobster we are used to. The mutation just influences the lobsters outer shell color. They can be found any place where regular lobsters are found. “Sea Life Art” collection portrays over 100 year old images once used in historical record collecting and teaching. These images have all been tailored from the original vintage illustrations, modified on unique mediums, and given accents to make them one of a kind. The handmade process provides a unique look for each piece and no two images will ever be exactly the same.